I have a little girl who finds it extremely difficult to sit still while we read aloud at home. She is like Tigger in Winnie the Pooh – always bouncing and hopping all over the room. Yet, when I demonstrate something for her to do (like stirring tea or using a stencil) she takes to it like a fish to water. She has a kinesthetic learning style and learns best through doing and movement. I’ve learned to allow her to move (with certain boundaries of course!) while we read aloud. She keeps herself busy with building blocks, coloring or painting while she listens to the story. In this way, she does not hop all over the room and keep the other children from hearing the story and actually absorbs more than when she has to force herself to sit still. My eldest girl can sit for hours listening to me reading aloud to her. She can sit completely still and tune her auditory antennas onto the story I’m reading. She does not like background noise when she has to concentrate because she has an auditory learning style and learns best by listening to what is said to her. 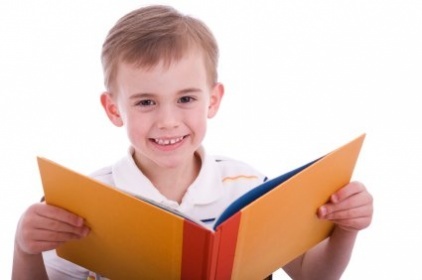 Auditory learners like to listen to the radio or to audio recordings of books. If I have to take down a phone number and I don’t have something to write on with me, she is the one who remembers the number best by just listening to it. Our boy wants to see what he is learning about as he has a visual learning style. He is the one who likes to draw pictures of the books we’ve read aloud or likes to recreate scenes from his favorite movies on paper. He loves illustrated books, video clips and books with real-life photos to learn about his favorite subjects. Children with a visual learning style usually think in pictures and like to learn by seeing diagrams or step by step instructions in photos or pictures. While all children have preferred learning styles, it is good for their educational development to expose them to all three modes of learning. The best classrooms are those who use a multisensory approach to learning, providing children with information to listen to, illustrations, photos and video clips to look at and a hands-on project that fits into the theme. How about your kid? What type of a learner would he belong to? This article is written by Lisl Fair for http://momcenter.com.ph. It’s important to know our kids’ learning style because that will help us to address how we could teach them. great information for e learning of kids.